Manchester United are currently hogging the limelight as far as the build-up for the 2019-20 season is concerned. As we head towards the business end of the current season, the focus of clubs is also heading towards the summer. And United have an important phase ahead of them as far as transfer activities are concerned. The club could see at least six players leave Old Trafford in the summer, with utility players such as Ander Herrera and Juan Mata expected to find newer pastures. Both the players haven’t agreed on the new contracts offered by the Premier League club. Meanwhile, apart from the mass exodus, at least 4-5 players are being targeted by Ole Gunnar Solskjaer. There could be a few marquee signings on offer, with Real Madrid‘s Raphael Varane being a chief target. However, Manchester United‘s main priority at the moment is something else. 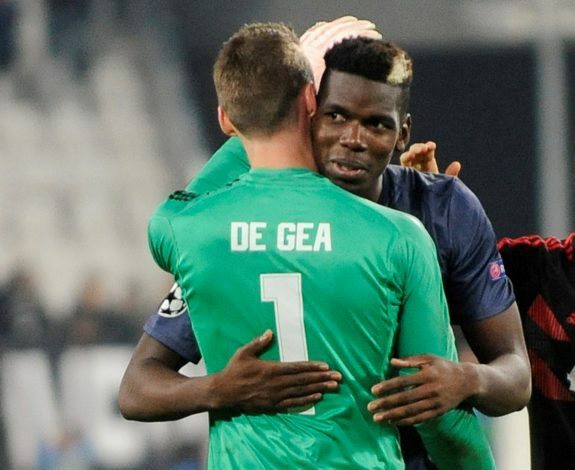 According to a report in the Mirror, United’s principle focus now is to first keep hold of goalkeeper David de Gea and midfielder Paul Pogba. De Gea has a contract until 2020, but United want the Spaniard to pen down a new deal. With Zinedine Zidane back at Real Madrid, the Spanish side is keeping tabs on the keeper. This interest has arrived despite the Spanish giants signing Thibaut Courtois from Chelsea last summer. United want to take their time and sort things out with De Gea. Meanwhile, Zidane has openly praised Pogba and publicly confirmed his admiration for the player. The Frenchman’s contract does not expire until 2021, and United can extend it up till 2022. The Mancunians do not want to lose two of their best players at any cost, and a source close to the news outlet has said that both players won’t be leaving under any circumstances this summer.